It’s really intimidating to walk into a room full of people you don’t know. We’ve all had that moment of panic, scanning the room for any semi-familiar face and praying it’ll work. Just one person. I personally hate that feeling. While I don’t mind being social, I also don’t like making awkward small talk. “How ‘bout those appetizers?” does little to spark a great conversation. In fact, it’s usually followed by a weird look – not even words. So, I started doing a little research before I attended events like those. I’d look at the invite to see who accepted or try to scrape the group page – really anything to prepare me so even if the people don’t know me, I know something about them. I’m already halfway to a real conversation if I know their interests. For example, “How ‘bout them Steelers?” to a Pittsburgh sports fan basically takes you from no-name to best friend in a breath. The same applies to digital conversations. “How ‘bout that Java?” doesn’t really do it. In no surprise to most, that’s not exactly a conversation sparker. However, it’s next to impossible to get to know every person online who could fit your job. Customize a few emails, sure, but when you’re trying to work at scale, it’s a little more nuanced to go niche. If you’re new to recruiting or doing volume for one industry or role, personas can be your best-kept secret. 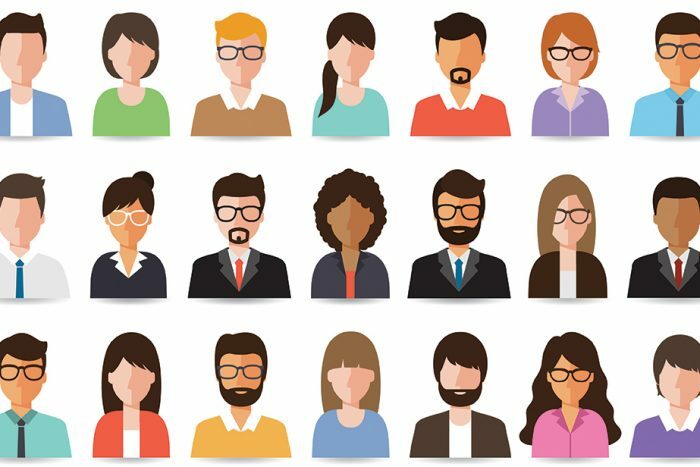 Recruiting personas are almost characters that represent your target. It’s not just a job title but a deeper look into their psychology, personal interests, and where they spend time online and off. This information translates into a strategy, but don’t let me get ahead of myself here. Describe the person who was most successful in this role. When you wake up in the morning, what’s the first app you open on your phone? Do you prefer to communicate via text or email? If you wanted a new job, what’s the first thing you would do? What websites would you use? This is just the start. You really want to get at both indicators you can translate into ad targeting, but also the type of person they are and what they care about. Bonus: If you have a lot of people in this role, use a survey tool like SurveyMonkey or Google Forms to collect this data from the larger group. With this information in hand, create the actual persona. HubSpot has a ton of easy to use templates that can serve as basic infrastructure. They ask you a few questions to further enhance this profile and help you understand their needs, challenges, and motivations – all information that can be really helpful to start a real conversation instead of digital small talk. Now that you have a persona in hand, it’s time to translate this intel into action. Now that you know who you’re trying to talk to, you can tailor your messaging and advertising efforts to target a hyper-niche audience of people who mirror your most successful employees. It’s like you’re not talking to a mystery person anymore, but instead talking to a friend. Working with a non-profit gym, we found that about 70% of current employees were referred by members of the gym. Instead of Craigslist ads, the company now gets over 50% of their hires from member referrals. A global aid organization was in search of interns. While they were targeting college juniors nationwide, our research found that the majority of students accepted were from colleges with public health majors. With more defined targeting and messaging that tapped into a student mindset, they were able to double applications in a matter of days. Working with a global technology company, we used an employee survey as the basis for creating careers content. In fact, the employee survey was even quoted in the job descriptions and career website. The results were almost instant, with candidate NPS increasing 3x. A little research can go a long way when it comes to your sourcing strategies, reducing time to fill and improving retention.